Roberto Pagdanganan, fondly called Obet or Gov (short for Governor because of his 12-year stint as Governor of the Province of Bulacan), has had an extensive experience in the private sector—business, academe and civil society organizations—and in government service. He was a senior executive in Unilever and a part time professorial lecturer in chemical engineering and MBA subjects, before he joined the government in 1986. Obet was a most outstanding public servant, and had received numerous awards and recognitions. These include Most Outstanding Alumnus awards from all the schools he attended, and the Lifetime Achievement Award, the highest award, from the Boy Scouts of the Philippines. He also received a Legion of Honor award from President Cory Aquino for his role in fighting coup attempts during her term. Obet considers himself particularly fortunate to have led the successful struggle of local officials for local autonomy, as President of The League of Provinces, and founding Chairman of the League of Leagues of Local Government Units, later known as Union of Local Authorities of the Philippines, ULAP. He is a foremost advocate for equitable national progress through cooperative development. As Tourism Secretary, Obet initiated the opening of the Tourism Office in Beijing China and signed the MOA for tourism cooperation between the Philippines and China on September 5, 2004. As Chairman and President of PITC and PITC Pharma, he also spearheaded the quest to improve access to quality and affordable medicines for the Filipino people through the “Botika ng Bayan”. 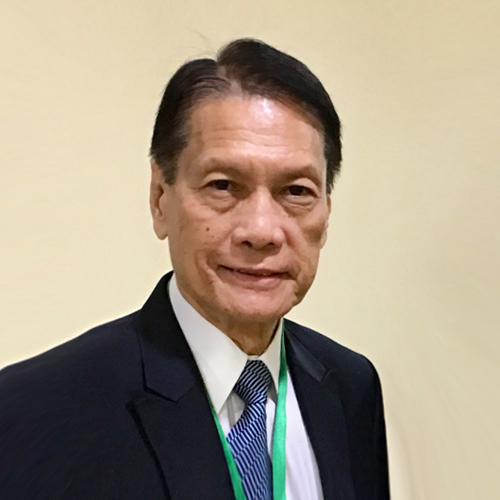 Having lost his only son Raymond in an accident, Obet is now deeply involved in the promotion of Road Safety as Chairman of NCCSPI, an NGO partner of the DOTC in implementing the UN WHO declaration of Road Safety Decade from 2011-2020. Obet’s humble beginnings and familiarity with the travails of the less fortunate amongst us, have strengthened his resolve to help fight poverty and to improve the quality of life of the Filipino people. He lives the Rotary’s motto of “Service above self”.